I love my seeds. They make up a large portion of my daily nutrition. Chia Seeds, Hemp Seeds, Pomegranate Seeds, Flax Seeds, Pumpkin Seeds, Apricot Seeds, Sesame Seeds, Sunflower Seeds, Grape Seeds ect. They all have wonderful nutritional values and healing properties. But no seed is as powerful as the mighty Black Cumin Seed!! 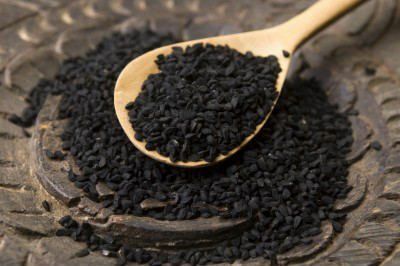 Asthma: Thymoquinone, one of the main active constituents within Nigella sativa (black cumin), is superior to the drug fluticasone in an animal model of asthma.Another study, this time in human subjects, found that boiled water extracts of black seed have relatively potent antiasthmatic effect on asthmatic airways.